Your search for a certified, dedicated, and compassionate local pediatrician ends with Aguilar Pediatrics. We welcome parents and all children from birth through age 21 to experience our pediatric care. Over the years, Dr. Edwin Aguilar has cared for thousands of families throughout the Rosedale, MD area. From our physician and nurse practitioner to our pediatric practice staff, we are dedicated to the health and happiness of your children. Why Choose Our Pediatric Practice? Learn more about our pediatrician and our practice by reading client testimonials that will soon be posted here. Check back for updates. For the time being, you may visit the other pages on this website to find out how we can help improve the health of your child. Choosing a pediatrician to care for your children can be a difficult decision. If you are looking for a pediatric physician and nurses that are available when you need them, call our pediatric office. We are eager to serve your child’s medical needs. Browse through our site to learn more about our pediatric services. 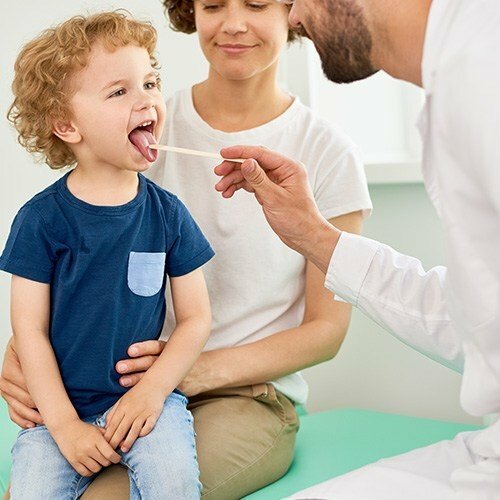 Here at Aguilar Pediatrics, we have a strong commitment to delivering the best patient care for your little one. Call or email us to schedule an appointment with our pediatric physician. You may also contact us if you have any questions about our practice. We look forward to providing you the finest pediatric healthcare services.